According to various sites such as IGN, Nintendo has confirmed that it will be releasing a third variation of the Wii U hardware package. It will be available in the U.S. and Canada and be sold for an MSRP of $389.99 (only $40 more than the current Deluxe). 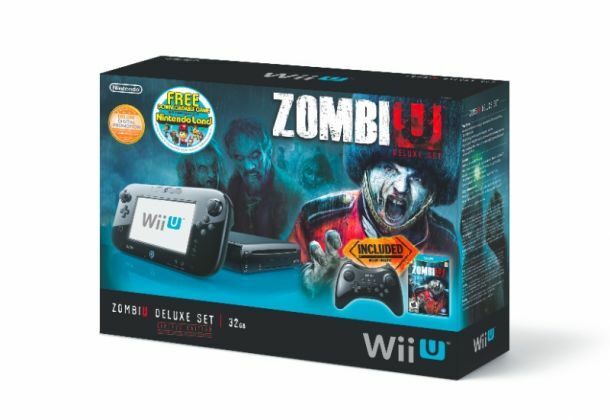 The bundle comes with the black 32GB Wii U, a digital copy of Nintendo Land, everything in the Deluxe set, the ZombiU game, a Wii U Pro Controller, and a ZombiU art book. If only I could have waited a couple extra weeks to buy my Wii U! This new bundle is an excellent deal! The Deluxe set plus Pro Controller and Zombi U game would run you around $459.99 if bought separately! If you’re interested, the Zombi U bundle is slated to go on sale starting February 17. There’s speculation that it could be that Microsoft is phasing out XNA to prepare for a replacement. However, it could also mean that Xbox is going to remove the Xbox Live Indie Games service completely. This would be crushing to many indie developers if that were the case. To illustrate what this means, both Bastion and Fez were developed using XNA.